So, the first of my sessions outside the family. This went remarkably well, especially with the free lunch! 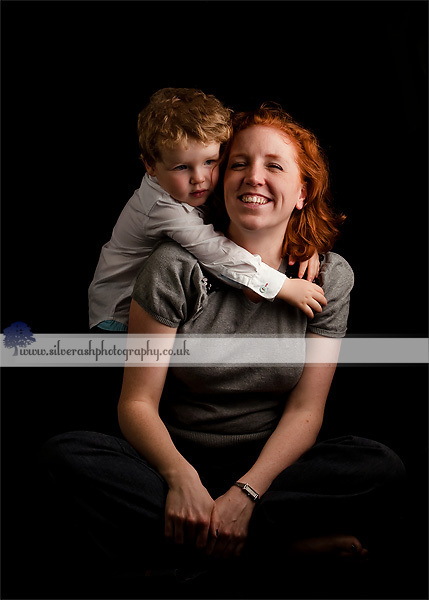 Amy is a good friend of mine, and has a little boy, Felix, who at nearly 3 is six months younger than my oldest daughter. Amy has a very charming (and helpful!) boyfriend Dave, and they wanted couples photographs as well. I was more than happy to oblige! Amy has a very small front room, yet somehow I still managed to fit in the studio although it was rather tight at times. 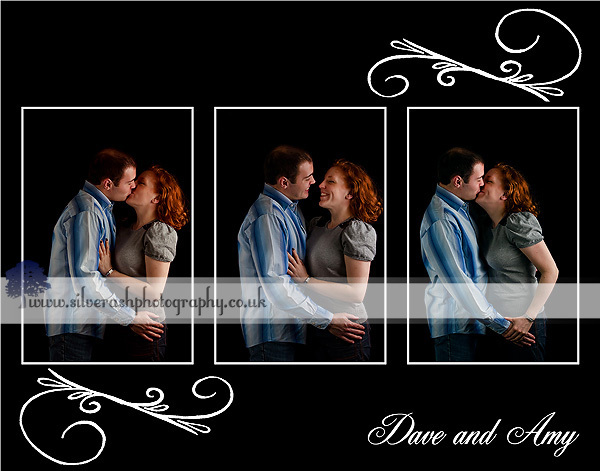 I brought along my new white paper backdrop, and I was very pleased with how effective it was.. worth every penny. So, first off – Felix. He is usually a happy chappy, and was extremely co-operative (especially at first) and did most things we asked! One of the things Amy wanted most were some photos of her with Felix. 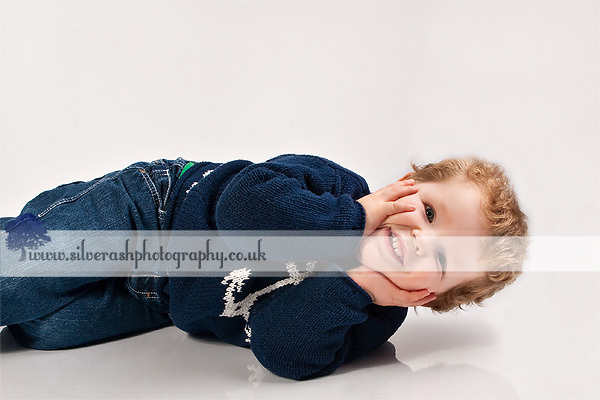 This was also a chance to try out my new black velvet backdrop, which also worked incredibly well! Meet Dave – Amy’s boyfriend! 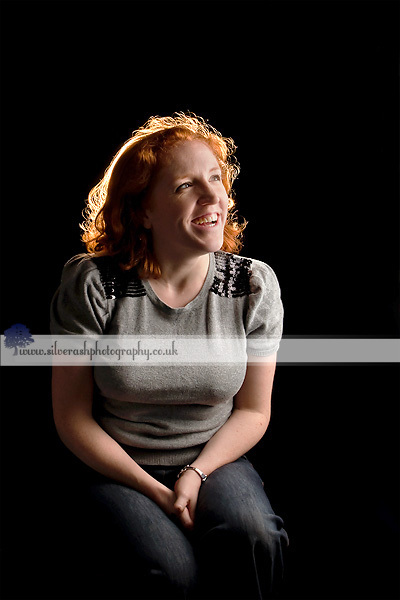 We all had a lot of fun trying out various different poses..
And a portrait of Amy on her own. Finally, I decided to experiment with storyboards.. and felt that these photos were a natural fit! All in all, we had a great time! It took around an hour to set up the equipment (this will get faster as I get more practice) and we were shooting for two hours. 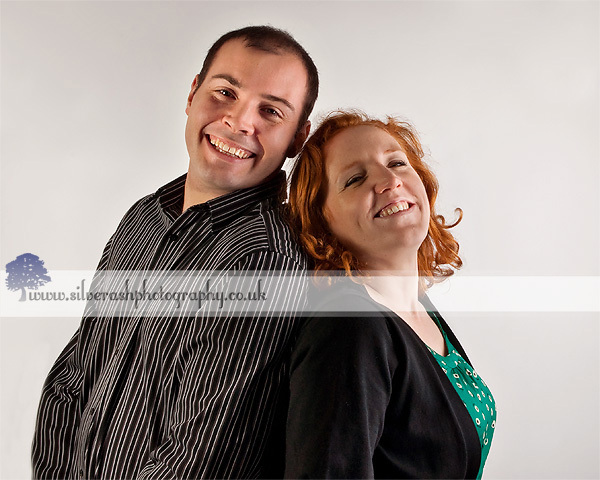 Amy and Dave are very pleased with the photos and immediately changed their Facebook profile photos to some of the more soppy ones! Monday I did a tandem nursing shoot with Jessica.. watch this space! 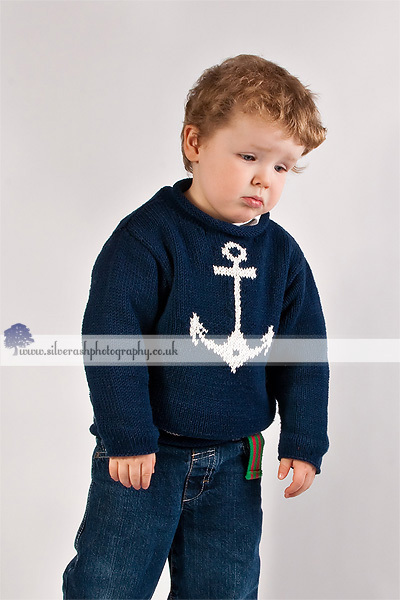 This entry was posted in Adults, Children, Studio and tagged Couples photography, toddler boy. Bookmark the permalink. Follow any comments here with the RSS feed for this post. Post a comment or leave a trackback: Trackback URL. 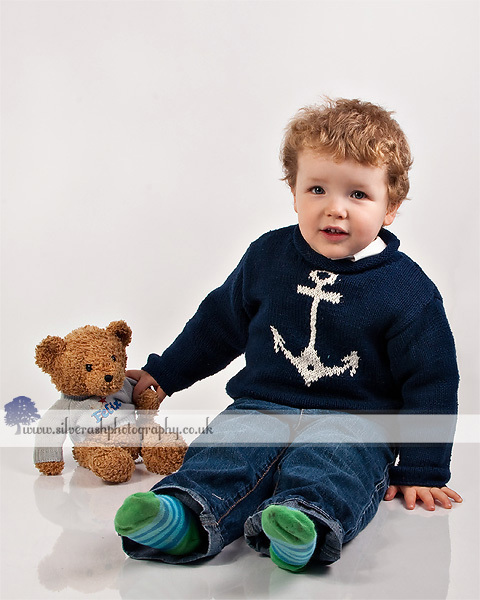 Hi Rosie, thank you so much for our great photos, everyone keeps asking us where we got them done! And I can’t believe you managed to fit all your equipment into my tiny living room. I am still super impressed I got it all into your living room as well – just goes to show it can sometimes be done! As Amy says, we’ll have to get some more done as Felix grows. 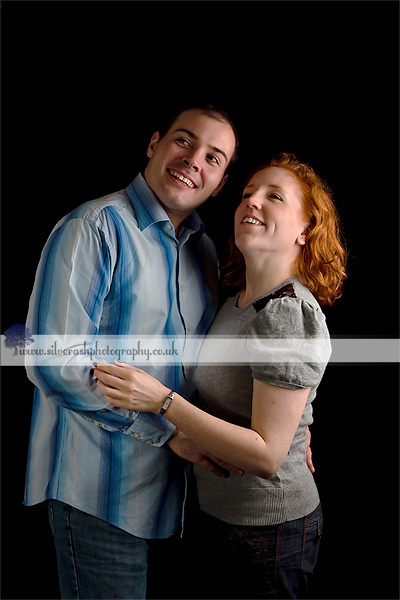 Your professional photographs look so much nicer than anything we could ever hope of doing! Well worth what you’re going to be charging. The photos look amazing, and the day was really fun too. I’ve been recommending you to all my friends! Loads of people I know have commented on how great the photos look. Thank you so much for such a wonderful memento, and such a nice day. Thank you very much Dave! And thank you for being so kind and helping out with lugging stuff around and with the clamps and so on – it was very much appreciated! 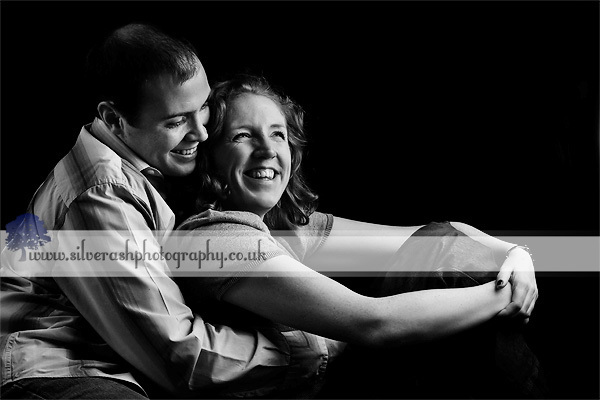 You and Amy were such great sports and I got some terrific poses from you both.. that chimney one is a classic! !